I was reading in the forums someone saying something to the effect of "I was playing a game and the other player took all the flags in the first 15 minutes and it seemed like it was hard to come back from that." In the final version of Demigod, the game would be over before 15 minutes if that happened. BETA 1 of Demigod was the engine test for compatibility. BETA 2 of Demigod was the engine test + Internet connectivity. 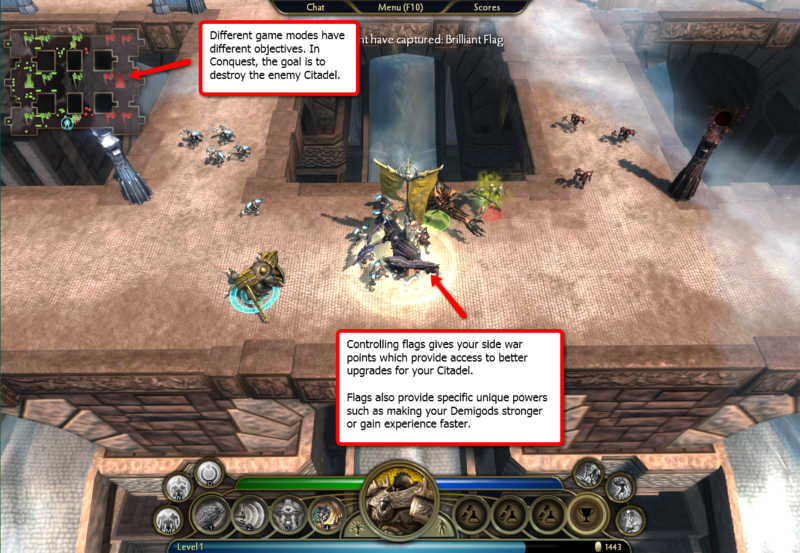 BETA 3 of Demigod, due next Thursday is where we start to get into the actual game play. So let's talk briefly about what our vision for that game play is. Our goal for Demigod has been to make it the "Counterstrike of strategy". That means games should be intense but also relatively short. The only time a game of Demigod should last more than half an hour is if both teams are very evenly matched. If you are an expert and you are playing someone who is new to the game, the game should be over in 10 minutes. In betas 1 and 2, we intentionally made it so that wasn't the case so that we could get people to test out the actual engine parts. But starting with Beta 2B (today) that begins to change as we start to go towards the final stretch. 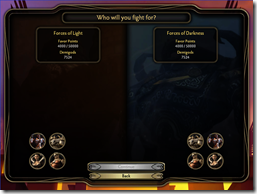 Whether playing it single player against computer players or playing on-line, the depth of the game comes through the game mechanics themselves, the persistent world and the game play options. Stardock and Gas Powered Games have a lot of experience making very complex, very epic strategy games. Galactic Civilizations, Supreme Commander, Sins of a Solar Empire, etc. are all very large-scale, epic strategy games. And as cool as those games are, they're not the types of games you can easily sit down and play with friends or simply sit down and play during a respite after work. They require considerable commitment. And as a gamer, with Dawn of War 2, Empire Total War and Starcraft 2 on the horizon, my need for epic RTS games is going to be met and then some. Demigod isn't designed to compete with a Starcraft 2 or a Dawn of War or a Sins of a Solar Empire. It's something quite different. Something quite new. Demigod is the game that you and your friends can sit down and get going in minutes without having to go through a few "test matches" to help them get the hang of playing. Its depth is in the subtlety of the game mechanics. Its skill is in how you handle your Demigod; how you equip him (or her); how upgrade your Citadel; which parts of the map you fight over and having the judgment of when to do what. There is no "build order" in Demigod because there are no buildings to build. There are no peons or construction units because there are no resources to harvest. There are no barracks because you do not construct your units (other than generals who summon their units). And yet, the mechanics for getting gold and getting access to better stuff is in there. 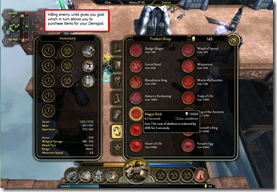 You get gold by controlling certain parts of the map and killing units and Demigods. You get access to better units by controlling flags on the map. You are able to get better abilities by earning experience in battle. You are able to become stronger by purchasing items and weapons and armor from the shop. And all of this is done without managing peons, building mines, constructing barracks or anything else. The game focuses on the funnest elements of RTS games. And hopefully in the next week or so, players will begin to see where this design leads to and like it as much as we do. First of all we have come a long way since Beta 1 and in the right direction. With each release the game gets better and better guys stop and give yourselves a pat on the back. As for build order there may not be a build like SupCom however just ask Flurus and Wagnard there is a build order to items and favor points and if you don’t get it right you are dead before the clock even starts. I am bitter because I don’t know the build order lol. Overall guys great job keep it up. And lets vote Flurus and Wagnard off the island. Quick question: I know that if I pre-order from SD, I get the CE of Demigod, with the Rook miniature, etc. If I wait till after it comes out, and then order it from SD, do I stil get all the bonus stuff? I'm saving my money for a flute ATM so I don't want to spend 60 of it on a game, but if I can't get the CE after the game releases, that might change my mind. Traditionally, they're all CEs whether you preorder or not. SD generally doesn't like competing with retailers so as to not piss them off, and instead they just give retail stores regular versions while they send out collector's for whoever goes through them. I fully expect post-release orders from SD direct to be the CEs. Flurus yes cause he stole my avatar wagnards fine though. And lets vote Flurus and Wagnard off the island. Listen, I know how you feel Iprom but you just need to find someone you can hook up with on voicechat and develop teamwork and synergy together then challenge the most toughest meanest baddest mofos to play demigod that there is right now! GAZ COME BACK! i NEEDs you!, If he doesn't return I may have to team up with kestrel and form Team McKestrel. For the first picture, the background colors need to be changed. 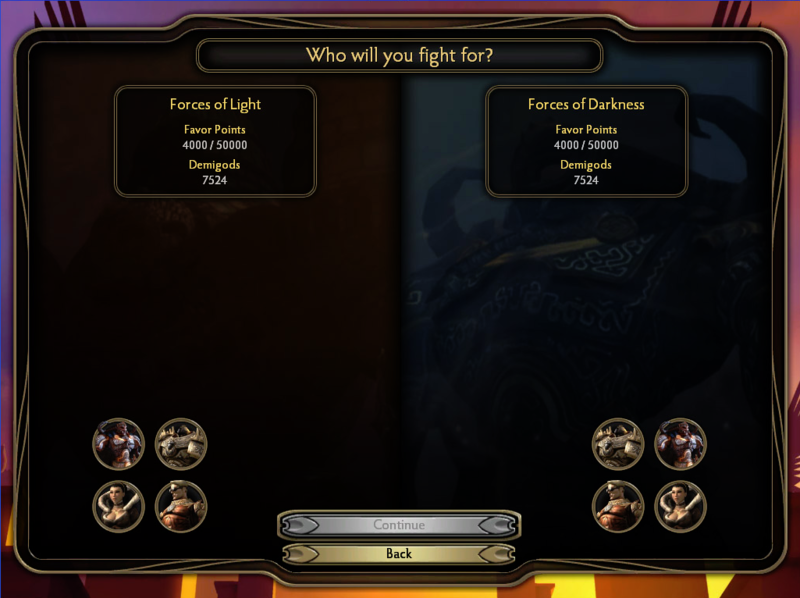 Also, why are only four demigods selectable? For the second picture, the red and green circles are nice for telling which side a demigod is on. Also, nice looking 'dark' version of Oak. I take it that means all demigods have a 'dark' look now( or does it mean players can select custom colors for their demigods? That would be even better.). mcmjon i say we team up and bring them down. I am excited, I didn't realize Beta 3 was so close around the corner. Good stuff is happening in the Demigod world! I still yet to play many people I'm looking forward to challenge in the next update: soccer, heavenfall, dazlk and testb, plus I'm interested to see how draknar and buko have improved. My biggest issue when looking for games in beta2a lately is not everyone playing logs into IRC. Should'nt you guys want to TEAM with us instead of beating us. And yeah Flurus is a avatar thieft. Should'nt you guys want to TEAM with us instead of beating us? Seriously looking forward to 5 v 5. I got the impression that item shop shot comes from what will be in beta 3, not whatever we're getting in 2B if it actually makes it out the gate. 10,000 for that rod seems steep with the current income rates. Hopefully beta 3 adds singleplayer functionality back in again, among other things. But until then I have one more Demigod to test. no why is wand of speed 1500 ):. I guess we'll see what happens. because everyone was runnnig everywhere. Your computer overheated? Sounds to me like you have a cooling problem, not a "Demigod is buggy" problem. Game runs well for me. But in any event I'm sure they're fixing plenty of bugs as they go along. This is a beta phase, not a "We're releasing next week" phase. Is it bad that this post turned me on? I hate to be the one to break it to you but if you find Beta 2B to be stuttery then it's time to upgrade your 486 to a Pentium. I'm running it on my 2 year old laptop with an Intel integrated chip in it and it's fine.